Halloween is my favorite holiday to craft and decorate for! 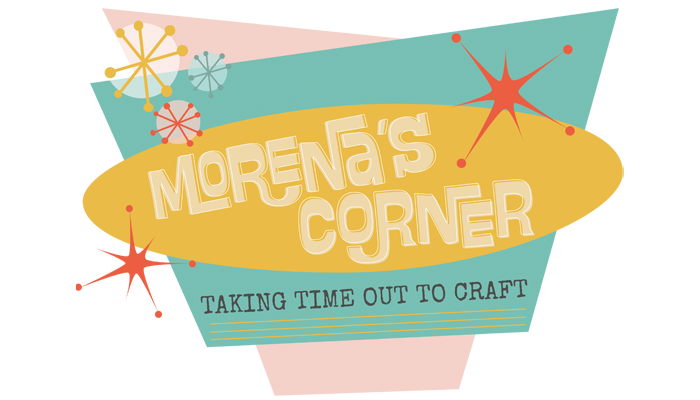 I love quick projects that help me get my home in the Halloween spirit. 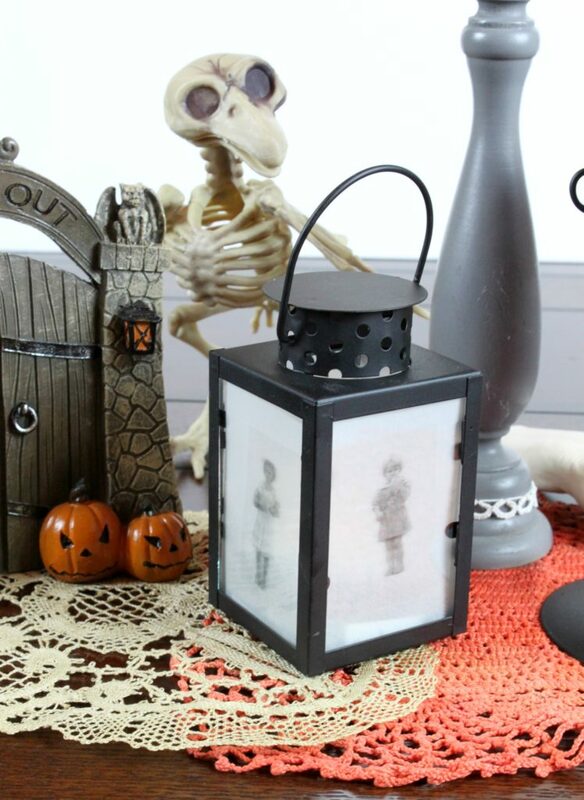 These three spooky lanterns are a quick and easy Halloween decorating project. 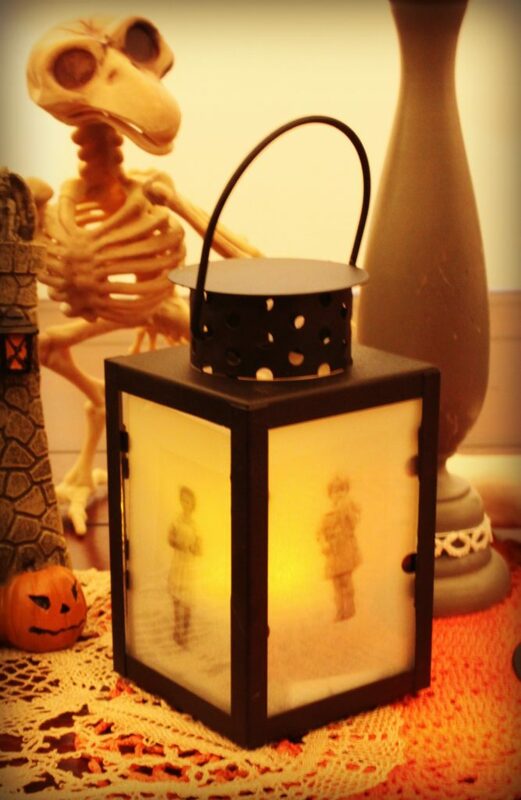 This lantern is so simple to make and yet it creates quite a creepy effect! 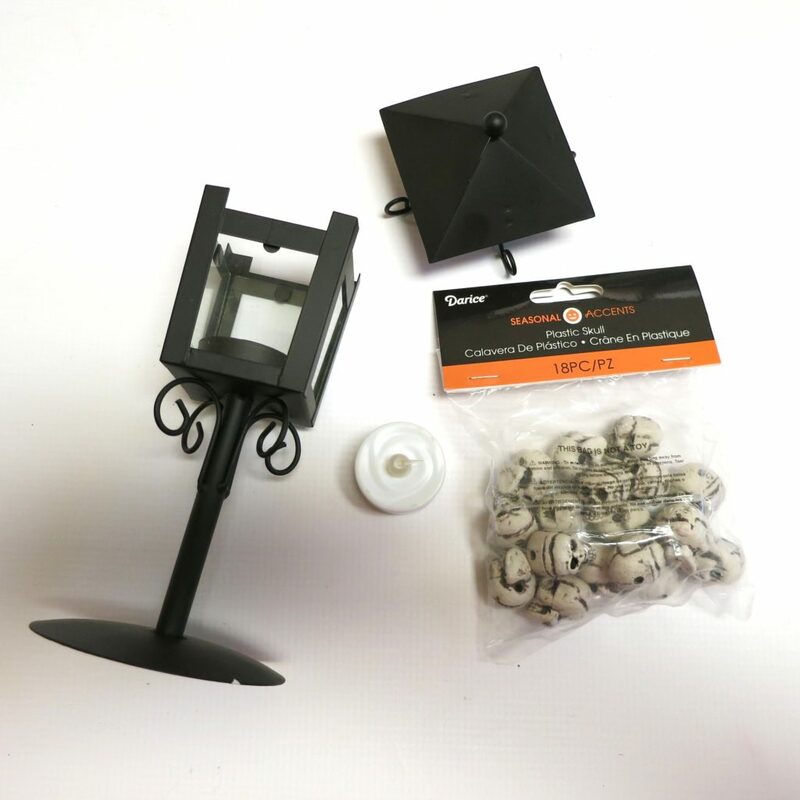 You’ll need to find a lantern that has a removable top portion instead of a base that opens up. 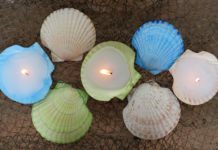 Take the removable top off the lantern, turn on the battery operated tea light, and set it in the base of the lantern. 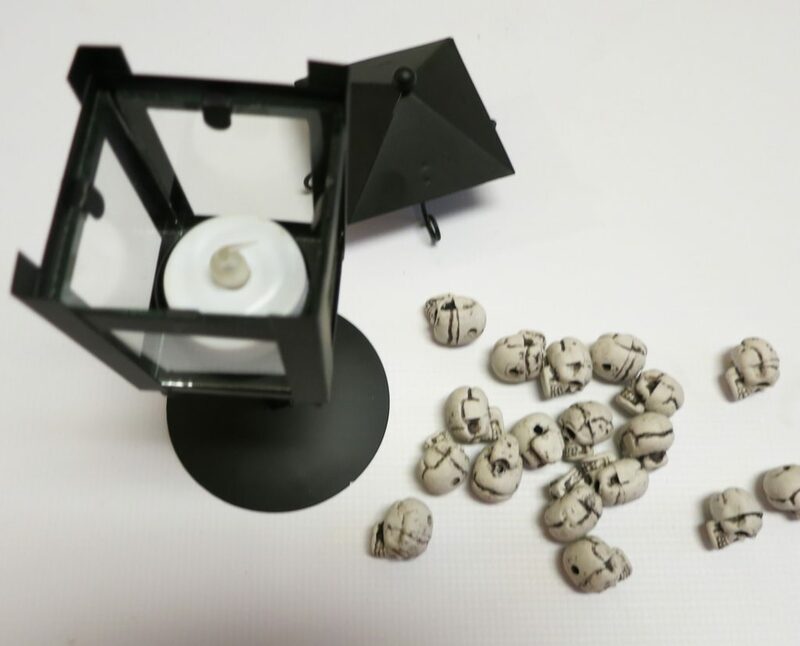 Arrange small decorative plastic skulls around the tea light, making sure that they all face towards the glass. When the lantern is full, simply put the top back on. 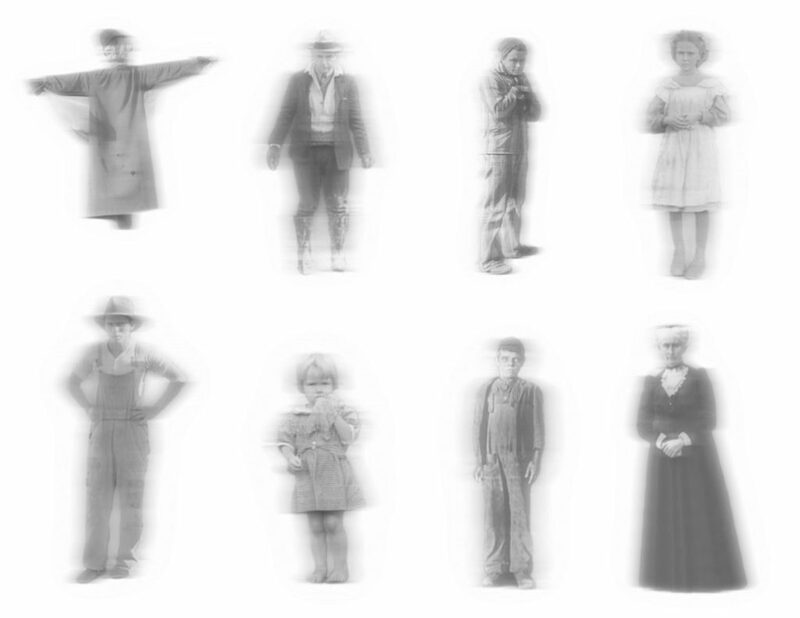 Print the ghostly figures onto transparent sticker paper. 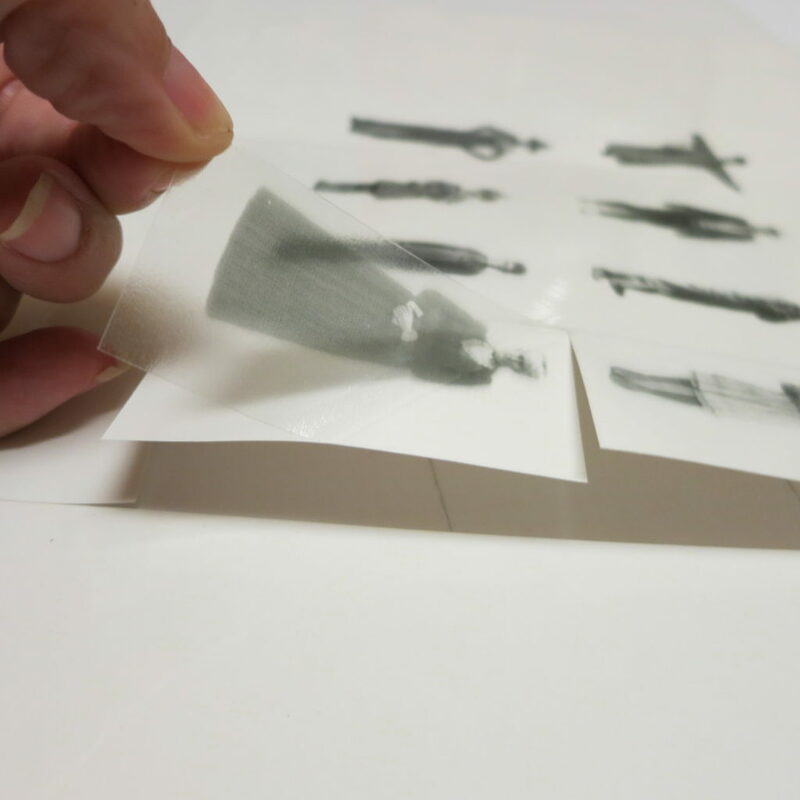 Measure the size of the lantern glass, and trace the dimensions onto white vellum paper. 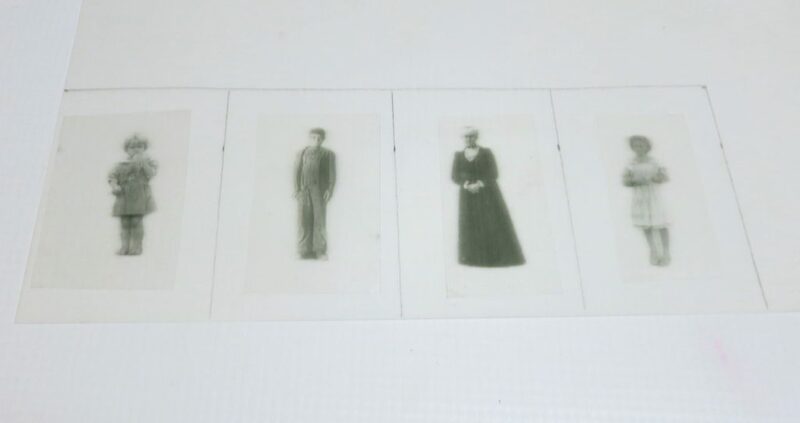 Peel the ghostly figure stickers off the paper backing, and attach the ghosts to the vellum. 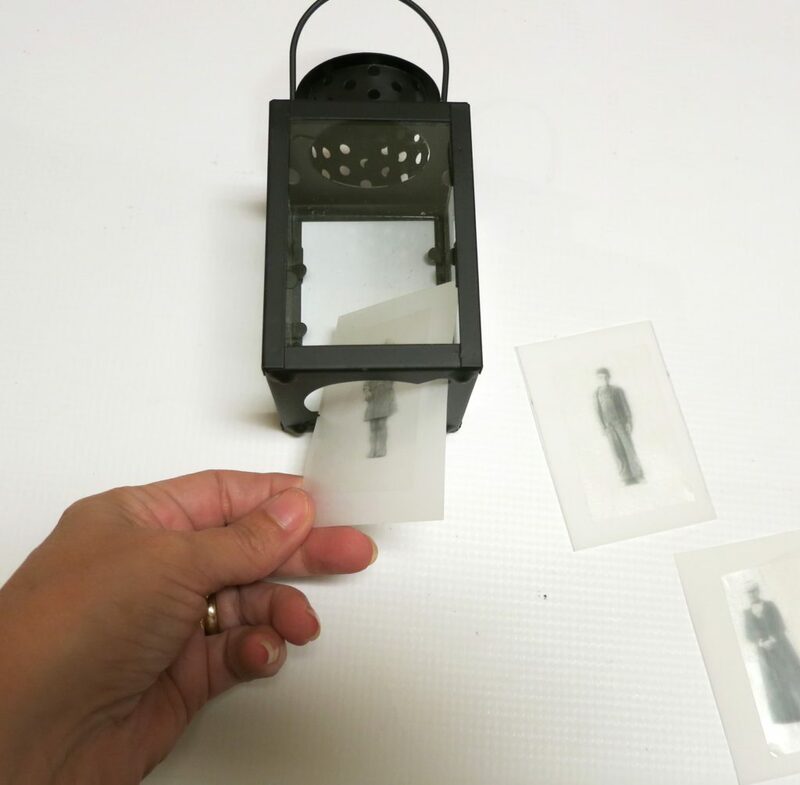 Cut out the vellum rectangles, and slip the papers behind the glass of the lantern. 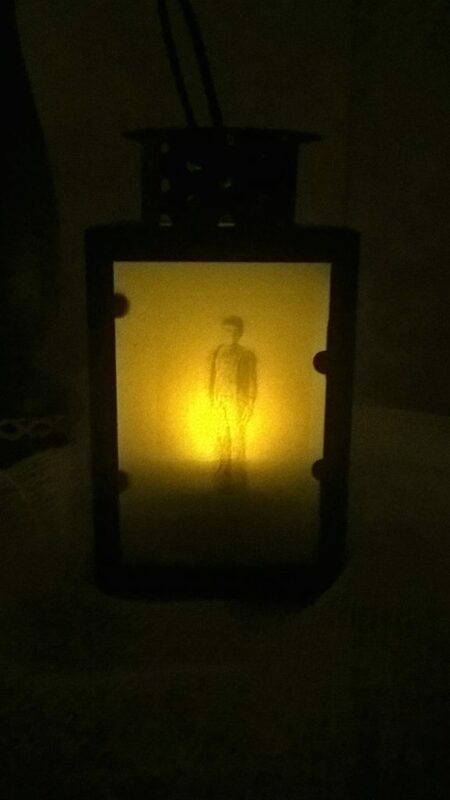 Use a battery operated tea light to create a spooky, flickering glow behind the ghostly figures. This lantern really looks creepy when the room gets dark! 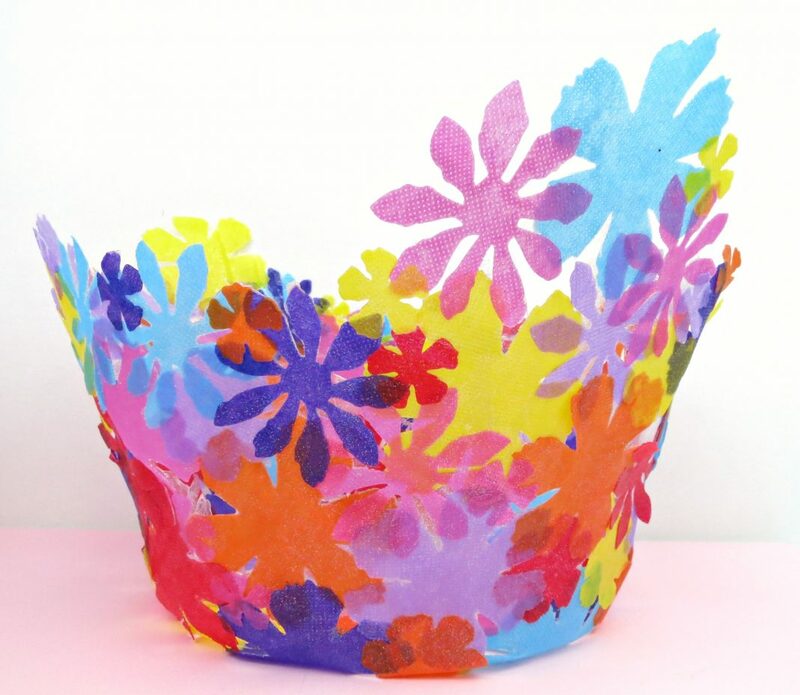 Use E-6000 adhesive to attach a decorative birdcage to the top of a wooden candlestick holder. 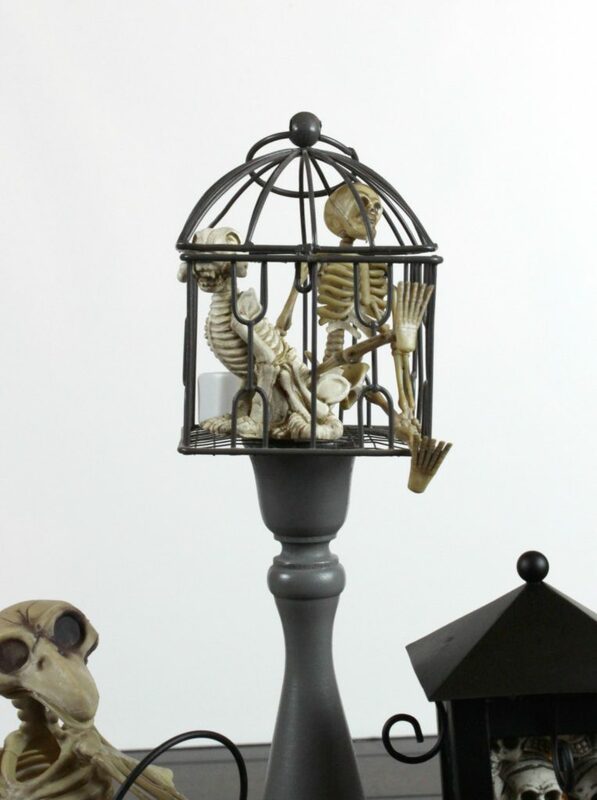 Spray paint both the cage and the candlestick after the glue has dried. 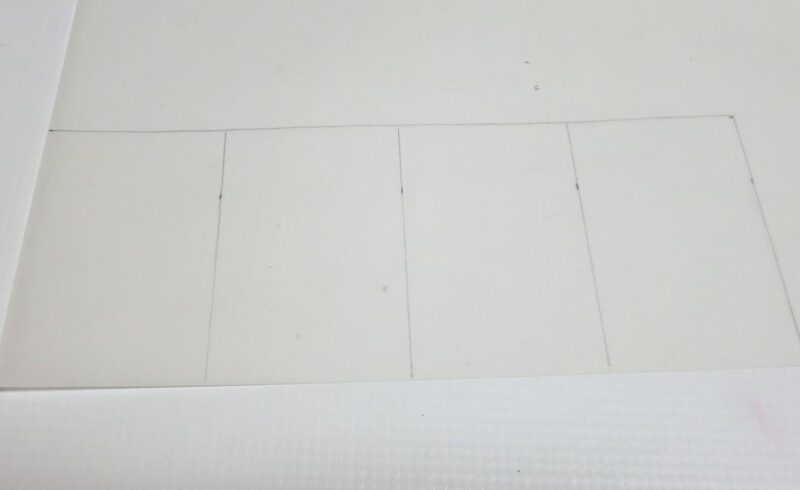 I used a dull gray color. 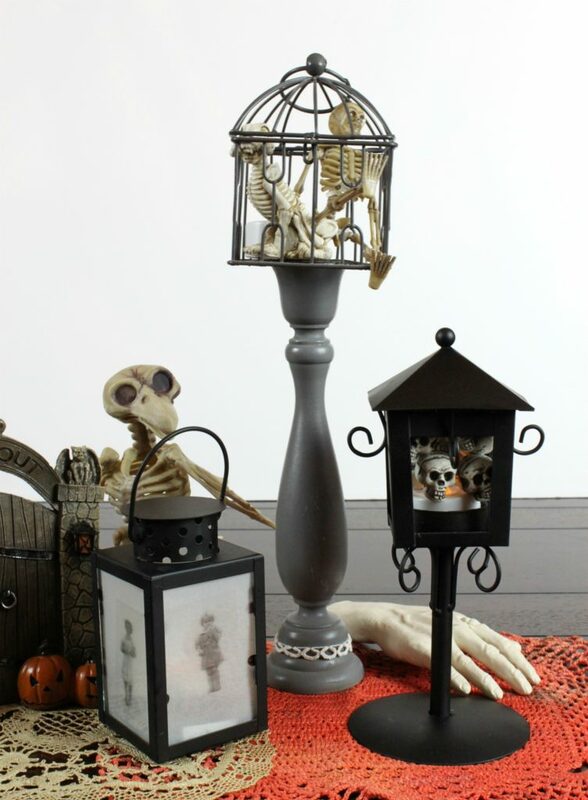 Fill the birdcage with small plastic skeletons (found at Dollar Tree) and a battery operated tea light. 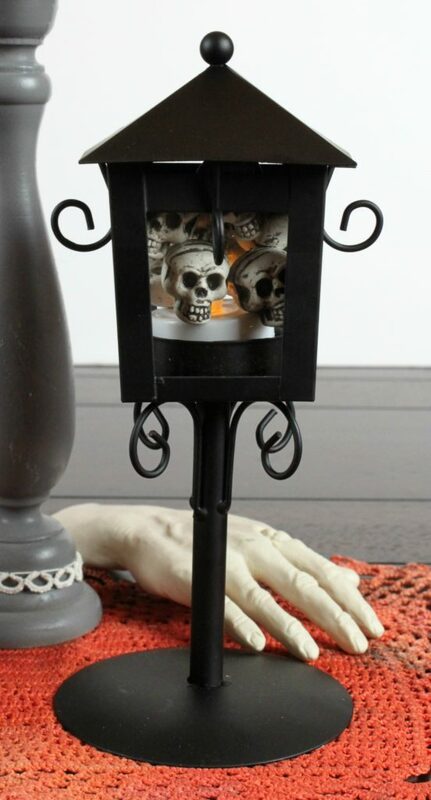 This trio of spooky lanterns works as a grouping, or you can let them stand alone. 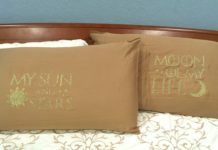 They make for creepy home decor, but they would also work as a centerpiece for a Halloween party, too. 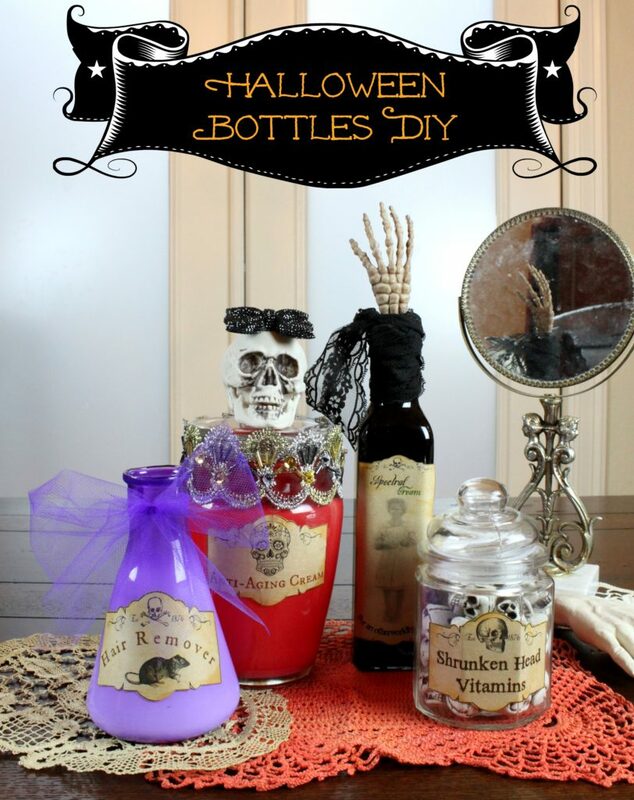 These lanterns pair nicely with my DIY Halloween jars, too! 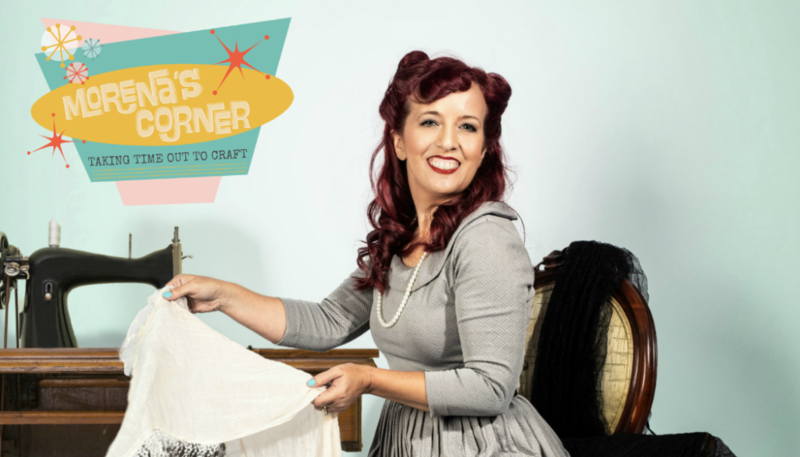 Have fun crafting and creating spooky decor this season!